Someday My Favorite: Ila is Thirty-Seven Weeks. Her thirty-seventh week was characterized by a whole bunch of happiness. Unfortunately (for this momma), much of this happiness happened at one in the morning. 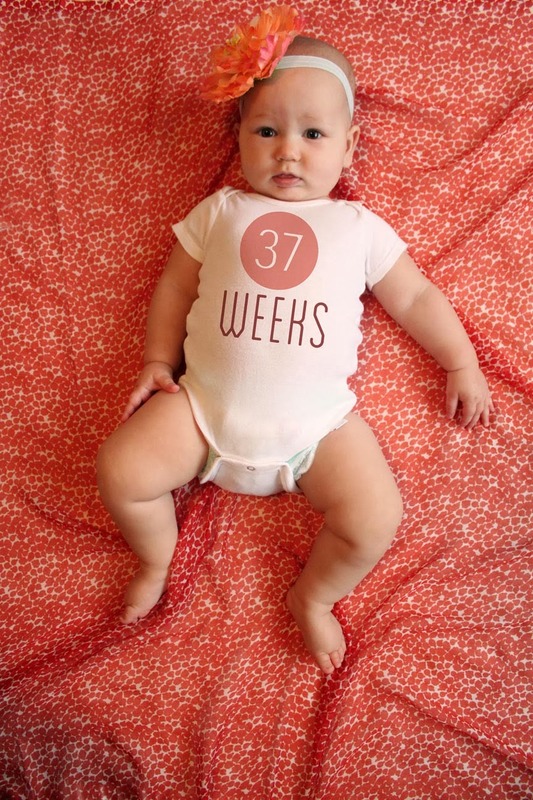 I am betting that a)she is going to be getting a few teeth soon or b)she is lamenting the fact that she is two mere weeks away from being in this world longer than she was in her momma's tummy. If I was a betting woman, I'd probably place my chips on (a).